Often, several families are unable to provide long term assistance for dementia patients, as such condition can severely influence the memory and cause erratic mood swings. It can even alter the personality of the patient making the situation tough to handle. Assisted living centers are the fastest growing residential care options for the elderly suffering from dementia. Therefore, a significant number of seniors are enrolled in assisted living centers for dementia care. This can prove to as a viable alternative to ensure their safety, especially for seniors who live alone. Although, before enrolling your loved ones in an assisted living center for dementia care, here are some things that you should meticulously note so that you can secure their mental and physical health. Demeanor – More than the words, the attitude and body language of the care giver should communicate positive feelings and attitude towards the patients. The specialized staff at assisted living dementia care homes are qualified to take care of these patients with perseverance. Ensure the center you are looking at has a friendly and capable staff, who understands the needs of your loved one. Working style – For dementia care, observe the assisted living center and gauge how effective is their working style. For instance, do they comprehend what the patients are trying to communicate or how do they put across the message to the patients? 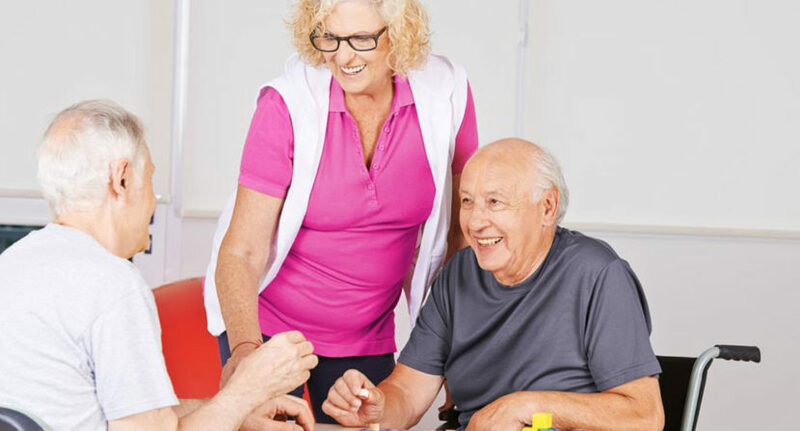 Expert personnel at assisted living dementia care homes are able to get the attention of the patient or get them to focus on a task by using verbal and non-verbal cues. Activities – An elderly individual’s life doesn’t come to a halt only because they are living in an assisted living center. Specifically look for the kind of activities the center organizes for patients who have dementia. This helps ensure that your loved one gets to spend some leisurely and happy time.